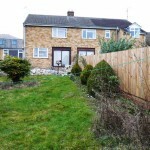 A Suburban Semi Simplified - Hill-fort Ltd.
1960’s semi detached property of Stamford brick in an elevated position, with a long south facing sloping garden containing overgrown lawn and conifers and a deep neglected shrubbery. 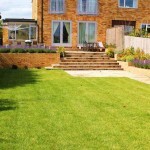 The young over asked for a large terrace for barbeques and dining out, and a lower terrace for sunbathing. 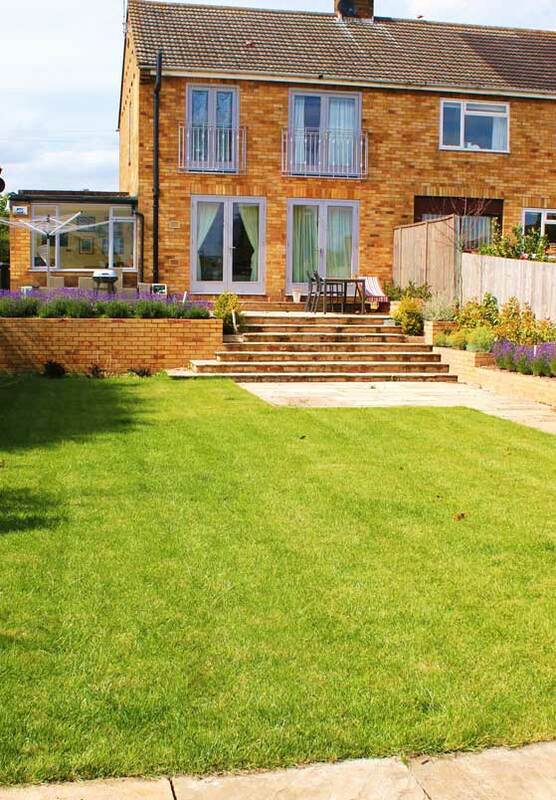 An easy to maintain, low maintenance garden with borders to screen fencing and small trees to break block views from neighbouring gardens. 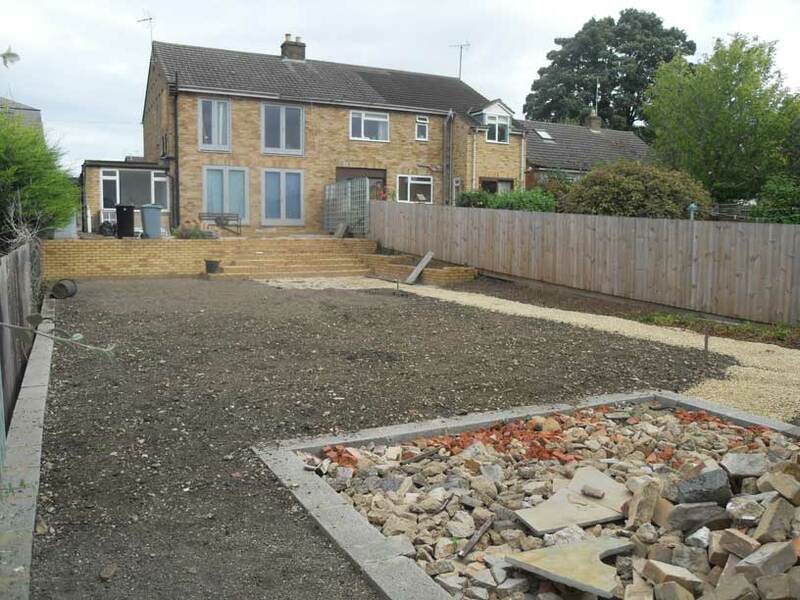 A Stamford brick retaining wall was built and a wide Indian stone terrace created, accessed from south facing French doors. 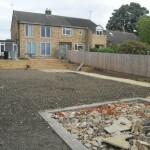 Remaining garden is levelled with block work retained edges. A wide flight of steps, suitable to be used as seating, leads down to lower sun bathing terrace. 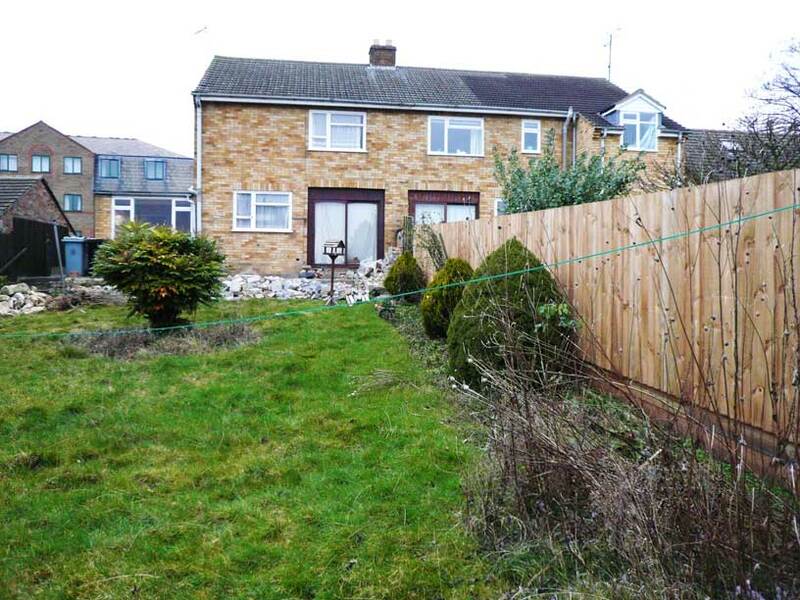 A path leads to the far end of the garden where a painted timber tool/mower shed, planted with trellis is positioned. Contemporary steel animal drinking troughs are to be added as planters, with grasses, box, ivy and bulbs providing spring and summer interest. Such planters are ideal in a contemporary and low maintenance setting, as the quantity of soil within them prevents continuous feeding and watering. The planters can either be left to oxidise to a subtle grey, or treated to remain bright silver. Planting is viewed from a distance, so is a bold mixture of striking plants, offering a long season of interest. We have used repeating ribbons of Photinia, Senecio, Lavendula, Berberis, Pysocarpus , Box, Gleditsia and grasses.